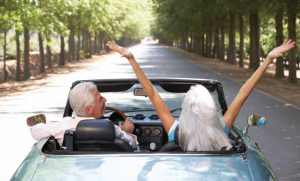 So you have decided that your next car needs something different, something refreshing, like a sunroof! Or err…a moonroof? Panoramic sunroof? Seems like there is more than one “car roof” than you thought, and you possibly are not even sure of the difference. It’s ok, the three roof amigos seem to confuse a lot of people on their differences from one another. Keep on reading to understand more about their differences and awesome cars that have them! As many have heard of the “sunroof”, it is the generic phrase to describe the panel in the roof of a car which lets in sunlight. The sunroof is built into the roof of the car, typically with the same body color of the car and can be opened manually or electronically. The “moonroof” is a common term used today to describe the inbuilt sunroof, a glass panel, the slides between the vehicle’s roof and headliner. It is practically the same thing as a sunroof, maybe the minor difference is the tinted glass panel. These lists can go on and on, and it is mostly a preference of how big you want your sunroof/moonroof. Would you like it only available above the front seats, or two panels: one for front and rear seats, or a large glass panel that stretches from the front to rear seats? No matter what roof option you choose, Swapalease.com has a variety of vehicles with that awesome feature! We are the largest online lease transfer marketplace and have vehicles and customers in every state in the continental United States and Canada. For more information on finding the best car lease deals or to learn how you can have a successful car lease trade, visit Swapalease.com or contact us at 866-SWAPNOW. 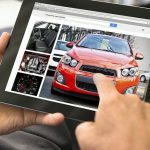 You have begun searching online and reading up on information in leasing your first car? Unfamiliar terms can begin to sway your decision. Not to worry, here is a sneak peek at common leasing terms you will come across in your research and what they mean. 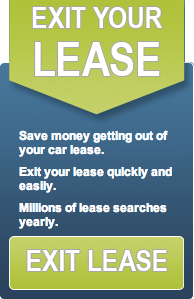 Did you know Swapalease.com has a Lease Glossary with even more leasing terms? Be sure to check it out for more information! Depreciation: The value amount a vehicle loses over a specific period of time, or the difference between original price and residual value. Disposition Fee: Amount paid at end of lease term, covering costs to prepare the returned vehicle for sale. Lease Assumption: Refers to an outside party taking over a lease from the original lessee under the terms and conditions outlined in the original contract. Lease-End Buyout: This is the originally contracted amount that the lessee can purchase the leased vehicle for at scheduled lease termination. This figure consists of the Residual Value plus the Purchase Option Fee if applicable. Residual Value: Estimate worth of a vehicle as it ages, represented as a percentage of its original price. Now that you have an idea of what you need, preparing to lease a car should be a little easier. Lease Deals On 2018 SUVs For September! September is rolling by and so are some new lease deals on 2018 SUVs! Depending on your area, these deals can expire early October or late October, which means time is running out! 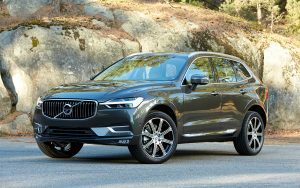 If you have been waiting to upgrade your ride to a new SUV, check out the list of the few hottest 2018 SUV deals below. Please check with local dealer for lease costs, monthly payments, expiration dates on deals, and mileage (if used). Buying a truck is liberating. You’re ready to head to the beach, the hills, or some fun mud riding with your friends. 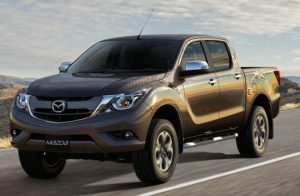 The only problem is that there are so many options of trucks to choose from that settling for one can be a difficult task. Here are five models coming soon that many consumers don’t even realize they need in their life. Starting at $28,850, Volkswagen pickup truck carries a diesel engine, containing 178 horsepower and 310 pound-ft torque. This heavy duty truck can also carry around 1070 pounds of cargo. It is expected to be released sometime near October. Starting around the $35,000 to $40,000, the new Honda Ridgeline packs a 3.5-liter 6-cylinder turbocharged engine with 360 horsepower. Be on the lookout for this pickup around late 2017. Starting around the $20,000 – $30,000 range, the BT-50 holds a 2.2-liter 4-cylinder turbocharged engine, 375 pound-ft torque and 148 diesel horsepower. Expect this pickup by the end of this year or beginning of 2018. Starting around $42,758, this Mercedes X-Class holds a 2.3-liter diesel, equipped with the X2200 turbocharger, packing 161 horsepower. Get your hands on this Mercedes truck sometime in 2018 (or as far as 2019). Starting from $60,000-$70,000, Tesla had added this pickup truck to its list of “smart” vehicles. Its 2.2 liter 4-cylinder turbo charged engine packs a 375lb-ft torque and 148 diesel horsepower. Expect to see this “smart” truck sometime in 2018 or 2019 (better late than never).